I know first-hand what it’s like to be the skinny guy. No muscle, no strength, no confidence in your body’s ability to open a tight jar of jam, let alone lift a heavy weight. I’ve got good news for you though. If you’re in the position I once was, then know that it didn’t stay that way for me and it doesn’t have to for you either. I first started going to the gym 10 years ago (yikes!) when I turned 16 and, in those years, I’ve learnt a lot about what works for building muscle and what is best to be avoided. Even with all the information available today and with better scientific research than ever before, there are still some myths that just won’t seem to disappear. Thankfully, through a lot of trial and error, testing and learning, I have the muscle building myths that can finally be put to bed so that you can focus on what works and what will actually get you the results you want. This myth comes from the idea that if you go in to the gym and always perform the same exercises, your body will become smart to what you are about to put them through. It will stop responding and growing and you’ll need to try and shock them with something new and unexpected to spark them back into action. What a load of old trap. “Shocking your muscles” usually comes with a period of unstructured training where you hop from one programme to the next and switch up your exercises each and every workout, in the hope that your muscles won’t anticipate your next cunning move. Your muscles don’t know what exercise they are doing, all they know is that they are being put under stress. And if that stress is adequate enough then they will adapt by growing so they can deal with it better next time round. So, in order to continuously build muscle, we don’t need put our bodies through every exercise under the sun. Instead, we need to focus on the main compound lifts and ensure we’re progressing with them in each workout. You don’t need to incorporate all of these techniques into a single workout but, as long as you do one of them, you’ll be giving your muscles a reason to grow. Do that and you can go out and shock people with how much muscle you’ve built. To some, having the feeling of DOMS the day after a workout is the holy grail of muscle building and, I’ll be honest with you, for years I thought along the same lines. If I woke up the day after a big leg session and I wasn’t struggling to walk down the stairs, I was disappointed. I thought It meant I hadn’t put enough effort in at the gym, that I had left reps & sets on the table, maybe I hadn’t contracted my muscles hard enough or used heavy enough weights. What I came to realise though, thankfully, was that DOMS is simply the by-product of inflammation in the muscle due to micro-tears that are caused during training. One study shows that there was no difference in muscle hypertrophy or strength between two groups, one of which suffered from DOMs and one of which did not. DOMS can affect people differently. It can start to take effect as soon as 6-8 hours post exercise and usually lasts for up to 48 hours, for natural trainees. However, it’s more likely to affect people new to training or people returning to the gym after an extended period of time away and will have less of an effect on seasoned gym-goers. The last thing to consider is that DOMS can also negatively affect your muscle building potential. After all, if you’re struggling to lift your protein shake up to your mouth, how to you expect to go and smash out some bicep curls. The method of training just one body part, once per week, was used and popularised by Bodybuilders such as Arnold Schwarzenegger, Louis Ferrigno and then, later on, by the likes of Ronnie Coleman and Jay Cutler. If you’re not familiar with these guys, just know that they are muscle-bound gods in the bodybuilding world and what they say about building muscle, most people take for gospel. Now, training each muscle group once per week did work for them, but let’s just say they had a little bit of assistance to help them along. You see, when you break down your muscle fibre through training, your body then has to repair itself and this is done through a process called ‘protein synthesis’. This process lasts for around 48 hours in natural trainees before the body stops the process. Assisted lifters however, are able to prolong this process and make it last up to three times as long, and this is why they can get away with training a muscle group just once a week at a higher volume. For most of guys and gals though, for maximum muscle growth potential, we want to be hitting each muscle group twice a week. Split your training sessions up into upper body/lower body or full body workouts and spread the volume of training upon the muscle over multiple workouts. When it comes to building muscle, the amount of weight you lift only plays a small part in the muscle building puzzle. 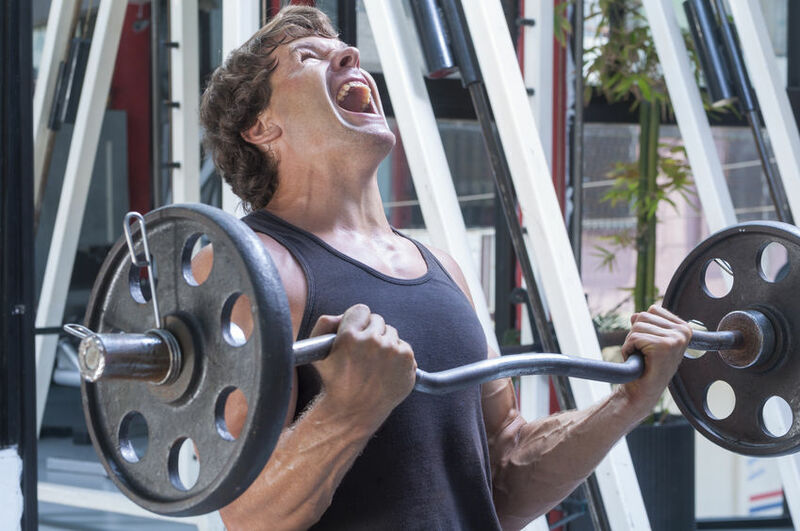 It would seem logical that the more weight you lift, the bigger your muscles will get. And then the bigger your muscles are, the more weight you’d be able to lift – but this isn’t always the case. A great example of this is when former world record holder for the squat, Fred Hatfield, managed to squat over 90kg more than Tom Platz in a competitive “squat off” despite having noticeably smaller legs. Platz has what are arguably the best and biggest legs in bodybuilding history. So, when we step into the gym with the goal to build muscle, our aim isn’t to lift the heaviest weights possible, but to make sure the muscle is contracting and engaging fully whilst being put under adequate stress to make it need to grow. You want to choose a weight that allows you to control the movement, maintain good technique and form and allows you train through full range of motion for the duration of a set. And for extra muscle gains, you want to make sure you’re able to lower the weight through the eccentric portion for at least a three count, as this is when most muscle damage will occur leading to greater growth. Remember your body doesn’t know what weight it is lifting, it only knows to respond to the stress that is placed upon it. There will be the person standing in front of the mirror looking for the perfect selfie lighting. There will be someone walking around commando for an oddly long time. You’ll also see guy after guy running to their gym bags so they can gulp down a protein shake within minutes of finishing their last set of bicep curls. I won’t lie, I used to be sitting alongside them downing my shake as well, thinking that I had to get fast acting protein into my muscles before the magical 30-minute window of muscle growth had passed and my workout was wasted. Unfortunately, it took me a few good years to realise that I needn’t have worried (or wasted so much money in post workout shakes) as the research indicates that consuming protein immediately after your workout has no extra benefit than if you had it within a few hours afterwards. Now you can chill out and relax after your workout, safe in the knowledge that your muscles won’t waste away into oblivion. 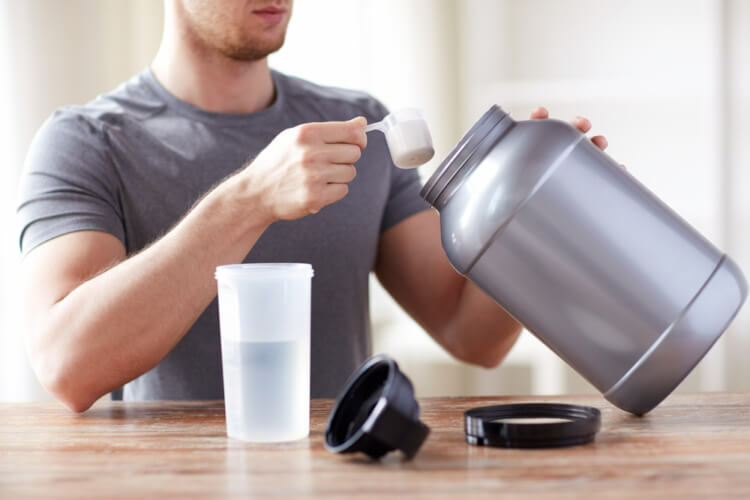 There does seem to be evidence that a post workout shake consumed immediately can be beneficial under the circumstance that you have trained in a fasted state. Building muscle ‘aint easy, but it is simple. Unfortunately, over the years – especially with the rise of social media – the information that is being put out isn’t always the most beneficial or accurate and the fundamentals have been muddled and over complicated. Consistency within your training is the thing that comes before all else. After all, how can you build muscle if you don’t even show up for your workouts? As the saying goes building muscle is a marathon, not a sprint. Cliched? Yes, but that’s because it’s true. Having the physique of your dreams unfortunately takes longer than what magazines may have led you to believe. It may take weeks, if not months, before you start seeing noticeable results and your body changing in the mirror. But the best thing to do is fall in love with the process and not the end result because you’re going to be in this for the long haul. So, buckle up and enjoy the ride. Very few things in this life are guaranteed, but there is one thing at least – you will NOT build muscle if you are not eating enough calories. You might have heard the term “hard gainer” before or you may have even labelled yourself as one, I know I did. In reality, it’s just a case that you won’t be eating enough calories to allow your body to grow, not that you are destined to be small for the rest of your days. What you’ll have to do is calculate your Total Daily Energy Expenditure (TDEE) via an online calorie calculator and then it’s just a case of making sure you eat more calories than the number you expend (by roughly 100-200 calories) each and every day, even on non-training days. As you progress and gain weight, you’ll need to eat a higher number of calories to ensure you continue to build muscle and progress, so a reassessment of your TDEE every 4-6 weeks is advised. Your workouts don’t need to be over complicated or last several hours to be effective. They just need to incorporate what was mentioned above – progressive overload. A programme that has you lifting more weight, doing more sets or hitting new rep PB’s week on week is going to do more for your physique and muscle growth than any of the latest gimmicks or tricks. 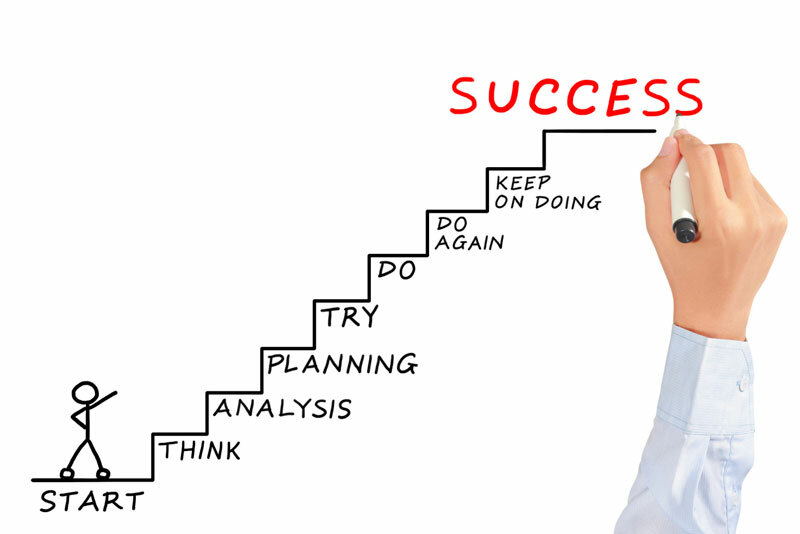 But, unless you have the mental powers of Rain Man then you aren’t going to know if you are achieving this. So, grab yourself a pen and pad or download an app and track your workouts and then compare them from the previous weeks/months/years. You don’t need to track every exercise you do, but I’d suggest you keep a record of all your big compound lifts and make sure you progress with these each session. Of course, you could just pay a trusted PT or coach and get them to do it all for you. If you can master locking down those three fundamentals, then congratulations, you are already most of the way there…then it’s all just about persistence, patience and pumping iron.